Microsoft has announced that its refresh of Windows Live Essentials, putting the updated services into public beta. TechRadar got an inside look into the new online services earlier this month and were impressed with what we saw. Windows Live Photo Gallery, Movie Maker, Mail and Messenger have all been given significant updates and the addition of Windows Live Sync means that you can share content between your home and work computers. Microsoft has also opened its service up like never before, bringing Facebook and YouTube integration and it has also freed up Messenger so you can now use the IM in your Mail account and through most of the Windows Live services. 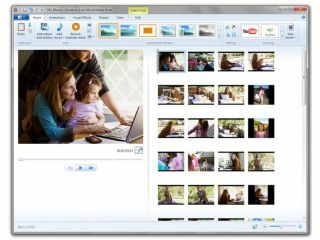 The Windows Live Essentials' photo and movie editing apps have also been given new functionality, including the ability to save photos in HD and merge images together. If you want to try out the public beta of Microsoft Windows Live Essentials, point your browser to http://essentials.live.com.